That alkaline, iron-bearing water in your home not only haunts your dreams but physically stains your units and appliances. 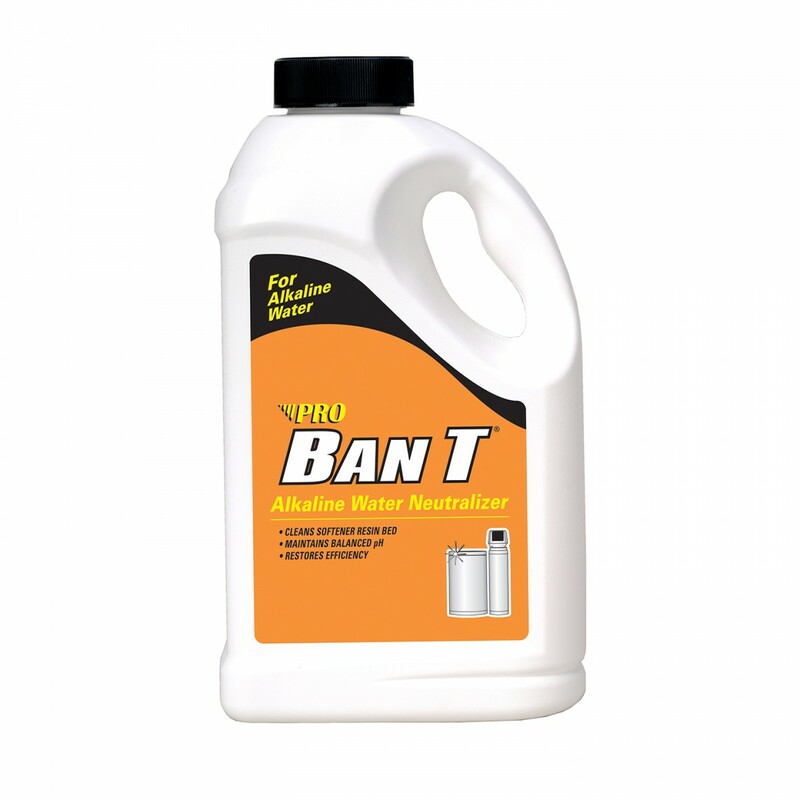 With the RU64N Ban T Alkaline Water Neutralizer and Cleaner by Pro Products you can say goodbye to scale, rust, and other deposits from your valuable sinks, faucets, ceramic tiles, humidifiers, and more! This powerful cleaner goes to work immediately by neutralizing alkaline water, rejuvenating softener resin, and simultaneously reducing rust stains. Order today! Save money in the future by taking care of your appliances today!